WALKER, THOMAS, merchant and local official; b. in England; d. 9 July 1788 in Boston, Massachusetts. Thomas Walker, who had emigrated to Boston in 1752, came to Montreal in 1763 and established himself as a merchant. He purchased a fine stone house on Rue Saint-Paul, near the Chateau de Ramezay, and prospered in the western trade. At this time relations between the military and civilian populations were strained, and Walker became the leading spokesman for the Montreal merchants in their quarrels with the military authorities. In September, soon after his arrival, he ignored the verdict of a military court which had found against him in a civil suit. When civilian government was established in 1764, the governor, James Murray, believing that the pugnacious and ambitious merchant could be useful if handled properly, appointed Walker a justice of the peace. Walker, however, used the appointment to give free rein to his animosity against the military, and he was soon quarrelling with them over the billeting of British troops. Previously, soldiers had enjoyed bedding, firewood, and the use of kitchen facilities in addition to their billets; now the magistrates, appealing to the letter of the law, forbade them these comforts. In November Walker and four other magistrates went so far as to imprison Captain Benjamin Charnock Payne, of the 28th Foot, for his refusal to vacate lodgings which a merchant claimed to have rented to another. Relations between the merchants and the military became so acrimonious that Murray asked Walker and three other magistrates to come to Quebec on 13 December to explain their actions. But on the night of the 6th masked men broke into Walker’s house, beat him severely, and cropped one of his ears. Murray wrote in his report that some 20 men had been involved in the attack and that suspicion had fallen on members of the 28th. Four men of that regiment were arrested, and the government sought to have them tried in Quebec where it would have been easy to find an impartial jury. However, Walker, who insisted on having a Protestant jury, refused to go there or to give evidence. He adopted the same position when the government sought as a compromise to hold the trial at Trois-Rivières. 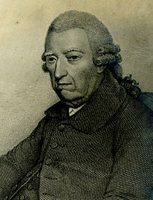 The trial, held on 1 July 1765, resulted in acquittal and convinced Walker that the military authorities had permitted the guilty to escape justice. 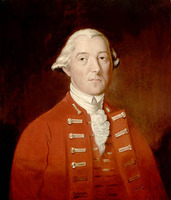 Murray’s governorship had been criticized by the Montreal merchants and their allies in London, and the Walker affair was to increase their opposition. News of the affair had been used in London in April 1765 to bolster the merchants’ argument that military authority was incompatible with the economic growth of the colony. Walker, who had been dismissed as a magistrate by the Council of Quebec on 22 June, carried his case to London. 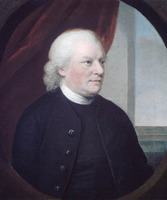 He returned in late May 1766 with a stiffly worded note from Henry Seymour Conway, secretary of state for the Southern Department, instructing Murray to reinstate Walker and to “support him in that unmolested Persuit of Trade, which as a British subject, he is entitled to.” Shortly thereafter Murray, who had been recalled for an investigation of the affairs of the colony, sailed for England. Walker’s case was reopened in November 1766 when George McGovock, a disreputable ex-soldier who had spent four months in Walker’s home, accused six respectable Montreal residents of responsibility for the attack on Walker. Unlike the previous set of defendants, who had been generally considered guilty, the accused – captains John Campbell and Daniel Disney, Lieutenant Simon Evans, John Fraser, judge of the Court of Common Pleas, the merchant Joseph Howard, and Luc de La Corne – received strong support from the public. At Walker’s insistence, William Hey, chief justice of Quebec, refused to grant bail; his action brought protest on 23 November in the form of a petition signed by almost every prominent Montreal resident. The trial of Disney in March 1767 resulted in acquittal, and Walker was discouraged from proceeding against the others. The Disney trial revealed that Montreal’s mercantile community had become fragmented, with the articulate Walker now the leader of a small, radical group. In November 1773 Walker, who had petitioned Lieutenant Governor Guy Carleton* as early as 1767 on the desirability of an elected assembly, travelled to London with Zachary Macaulay* to present a similar petition to Lord Dartmouth and to solicit the support of the business community. He opposed the passage of the Quebec Act, agitated for its repeal, and became a foe of Carleton. 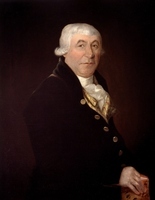 Through his activity as a wheat buyer and speculator Walker had gained an influence in rural areas that enabled him to circulate, in Montreal and its district and in Quebec, the Continental Congress’ 1774 appeal for support. By 1775 Walker was a full-fledged republican. In April he was present at a meeting of American sympathizers at the Montreal Coffee House and there urged the sending of delegates to the next Congress. 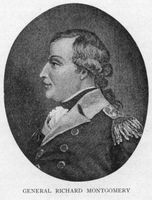 He supplied military information to Benedict Arnold*, and later to Ethan Allen. In June he agitated among the habitants of Repentigny and Chambly, promising money, arms, and powder to those who would support the Americans. When the American army invaded the colony in September [see Richard Montgomery], Walker, naturally regarded as an enemy and a traitor, was arrested at L’Assomption, where he owned a farm and potash plant and where he had been engaged in levying Canadians to fight the British. On 11 November, when Carleton retreated from Montreal to Quebec, Walker was placed on a ship bound for Quebec. The Americans captured the vessel, however, and Walker was released. He returned to Montreal, and there he housed Benjamin Franklin, Samuel Chase, and Charles Carroll, the three Congress delegates who arrived in the city early in 1776. 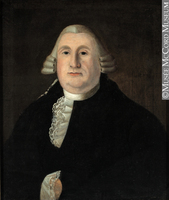 When the Americans withdrew from the province later that year, Walker accompanied them and established himself in Boston. His subsequent career is obscure, but it is known that in January 1785 he petitioned Congress to recompense him for the losses he had sustained in his support of the American revolution. In that year he also visited Pierre Du Calvet in London. BL, Add. mss 21668, pp.64, 68, 80, 82, 93, 101, 141–43, 146–48, 181 (copies at PAC). Boston, Registry Division, Records of births, marriages and deaths, 9 July 1788. Library of Congress (Washington), Continental Congress papers, no.41, 10, p.665 (copy at PAC). PAC, MG 11, [CO 42], Q, 3, pp.5, 9, 29, 41, 122, 391; 4, pp. 1–20, 44, 76, 79, 98, 103, 105–6, 108, 129, 133; 10, p.8; 11, pp. 11, 149, 167, 192, 267, 285, 301, 307; MG 23, A1, ser.2, 1, pp.56–67; A4, 16, pp.86–88; I13, 1, pp.118–21, 169–70. Maseres, Maseres letters (Wallace). PAC Rapport, 1888, xi-xiv, 1–14. The trial of Daniel Disney, esq . . . . (Quebec, 1767). 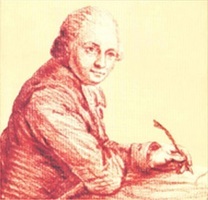 Quebec Gazette, 13 Dec. 1764, 13 June, 4 July, 12 Sept. 1765, 5 June, 29 Sept., 24 Nov., 29 Dec. 1766, 26 Jan., 9 Feb., 16, 23 March, 9 April, 15 Oct. 1767, 10 March 1768. Le Jeune, Dictionnaire, II, 808–9. Wallace, Macmillan dictionary. Burt, Old prov. of Que. Nearby, Quebec. 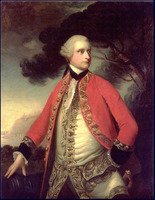 G. F. G. Stanley, Canada invaded, 1775–1776 (Toronto, 1973). A. L. Burt, “The mystery of Walker’s ear,” CHR, III (1922), 233–55. Lewis H. Thomas, “WALKER, THOMAS (d. 1788),” in Dictionary of Canadian Biography, vol. 4, University of Toronto/Université Laval, 2003–, accessed April 24, 2019, http://www.biographi.ca/en/bio/walker_thomas_1788_4E.html.